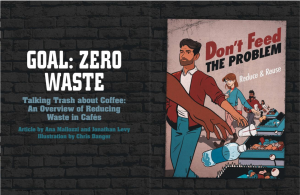 Every time Zero Waste Guy Jonathan Levy is mentioned in the press or interviewed in print, podcast or video it is listed here. See how his opinions and knowledge have shaped and progressed over the years. If you see any news stories or articles that are missing, please let us know! Inspirational Souls – No Wonder You Were Afraid to Ask #44 – Jonathan Levy – the Zero Waste Guy!